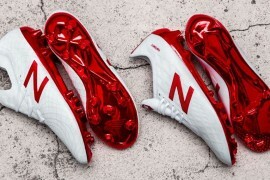 As Nike bring their tenure as kit supplier to Manchester United to an end, their final change kit for the Old Trafford is a reserved, characteristically subtle effort. 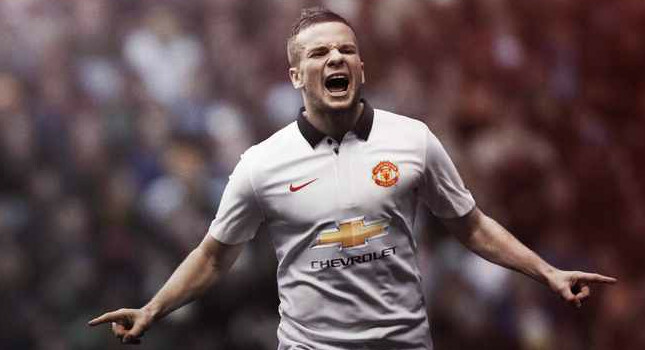 The Manchester United Away Shirt 2014-15 sees the club return to a white shirt that Nike say should be ‘instantly evocative’ for MUFC fans, thanks to the club’s storied history and successes in their white alternative jersey. 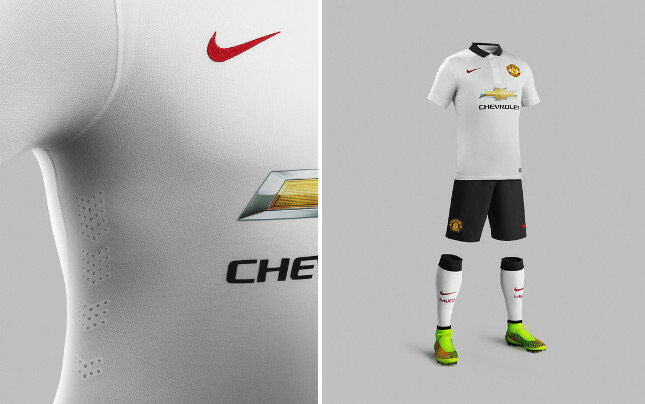 Whilst Nike have sometimes had a maverick reputation when making kits, the Manchester United Away Shirt 2014-15 is crisp and clean in white, with added detail coming from the black polo collar. 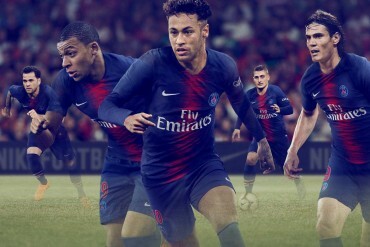 When the collar is open it also reveals a small black devil from the center of the club’s crest. 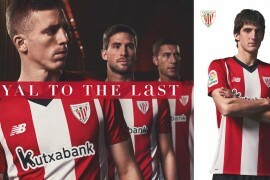 It has a red, white and black stripe on the underside revealed if it is flipped up in homage to legends from the club’s past. Inside the back of the neck is a small label with the message, “Youth, Courage, Greatness” to represent the club’s values. 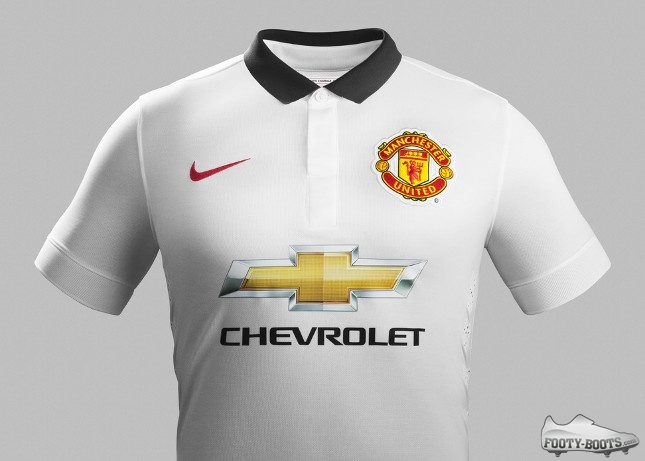 Across the back of the shirt is an engineered mesh in a series of chevrons to replicate the pattern used on United shirts as far back as the early 20th century, and again in recent times. The shorts are black, and the socks are white with a black band at the top and a wide tonal stripe of chevrons on the back. As with all Nike shirts, the Manchester United Away Shirt 2014-15 is created from recycled polyester and boasts an arsenal of integrated technology, including a lightest-ever Dri-Fit fabric, Laser-Cut ventilation and ‘Burnout’ Mesh panels. 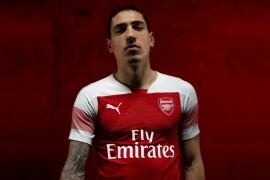 The new away kit will be available to pre-order from July 22 and to purchase in stores and from the Footy-Boots.com store from July 23.